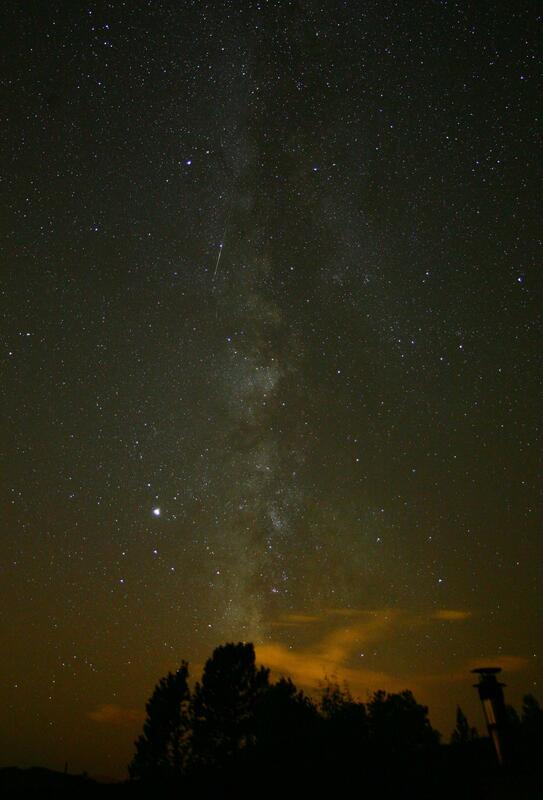 I was able to enjoy the 2008 Perseids under pristine magnitude 6.7 dark skies, with clear horizons. 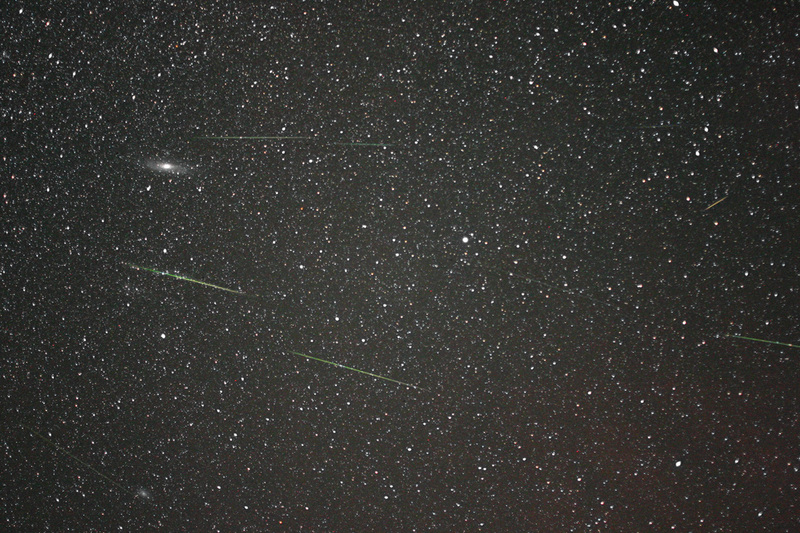 What a fabulous display, with good numbers of bright meteors, and lots of faint ones too. I had my two DSLR taking guided 2 minute exposures for a few hours until dawn. 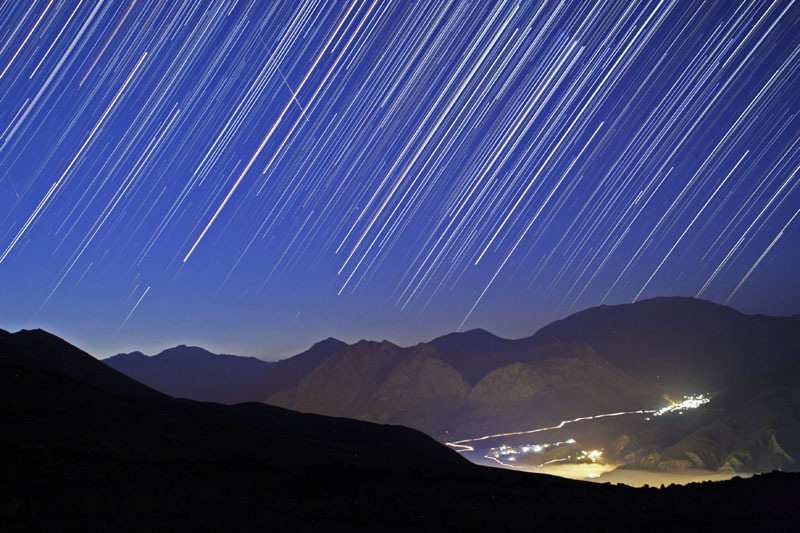 All photos where meteors were found were then digitally combined to produce these three images. Photo details: Canon 30D with 20mm f/2.8 lens at ISO 640, and Canon Digital Rebel with 35mm f/2.0 lens at ISO 800). 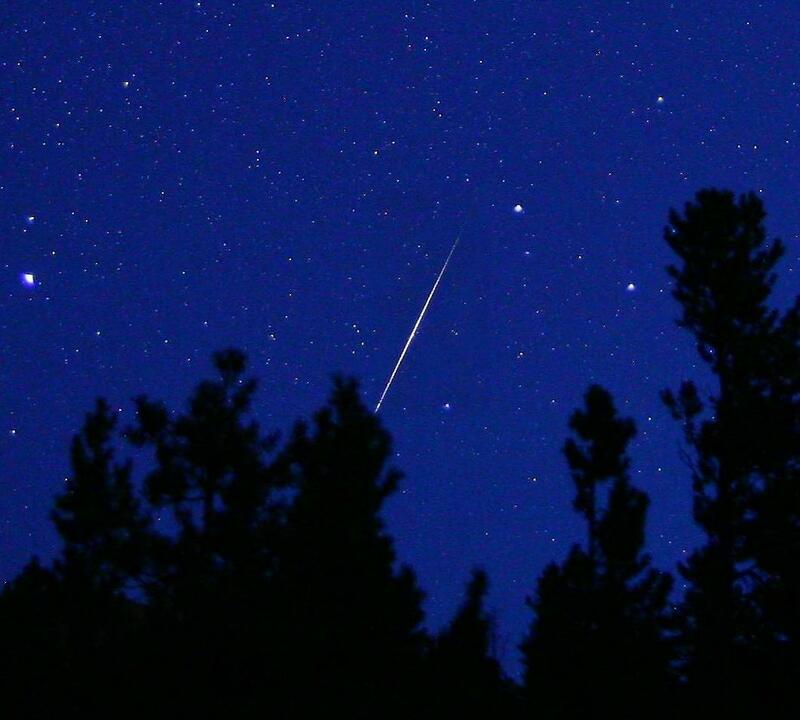 On August 12th, an exploding Perseid fireball (mag. 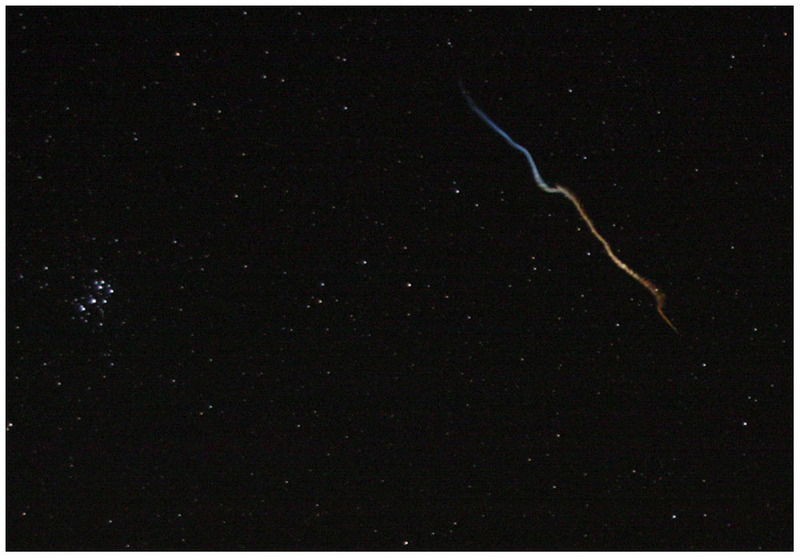 -5) left this smoky trail of debris over Pauleasca, Romania. 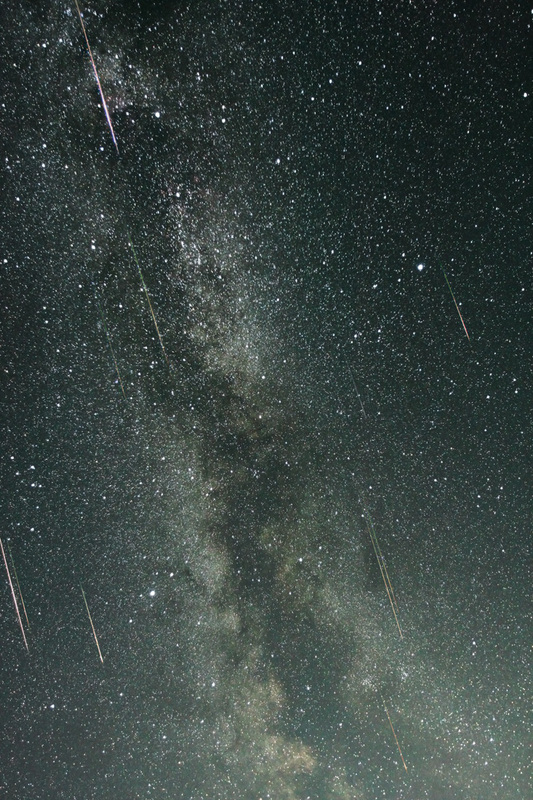 "I missed the fireball itself, but photographed the debris twisting in the wind," says photographer Vlad Dumitrescu. 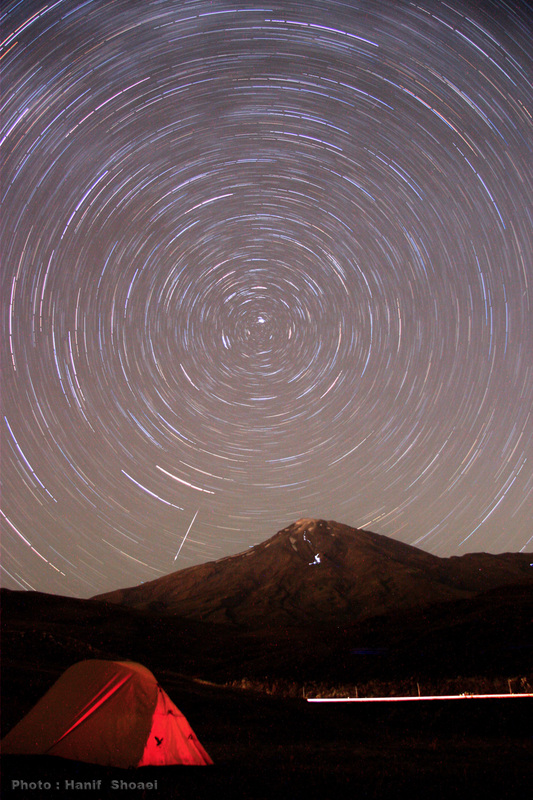 "Later, the trail made a loop and encircled the Pleiades. Here is the entire sequence." Tuesday morning was too cloudy in the Netherlands. Wednesday morning was better. 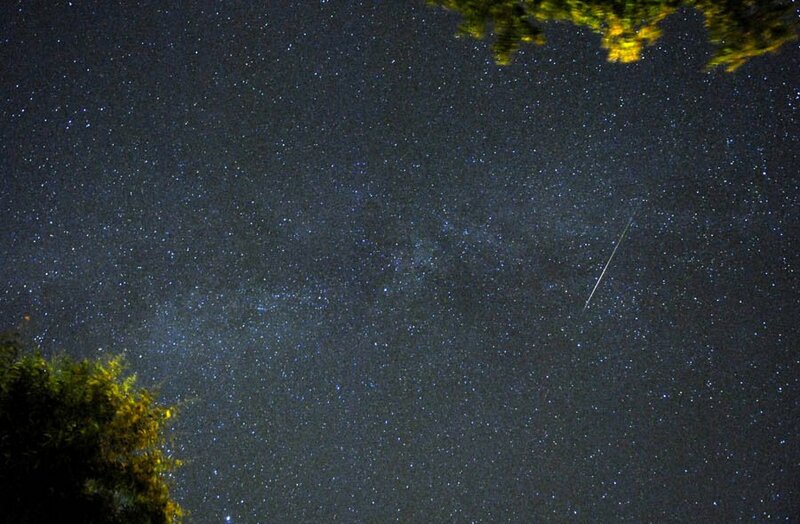 Not every minute a perseid but enough to stay awake. 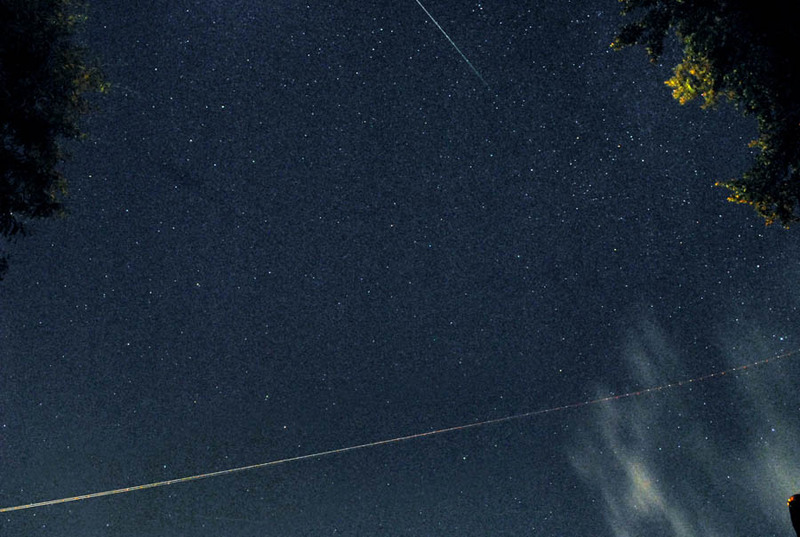 On the second photo a plane is passing. Photo details: Nikon D200, 1600 ASA, 20 second exposure, focus 2,8, 17 mm. 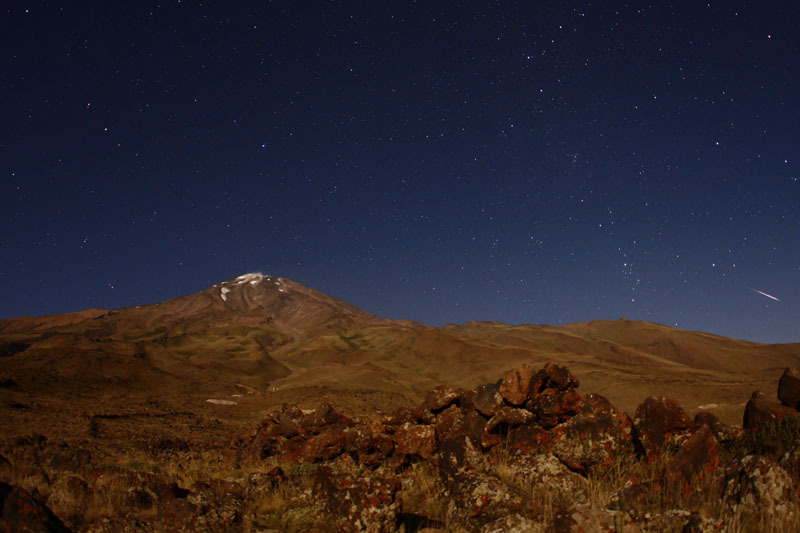 I took 100 photos between 2:30 and 5 am local time, and found meteors on at least six of them. One of the two photos here is the brightest one I caught as dawn was beginning to brighten the sky. 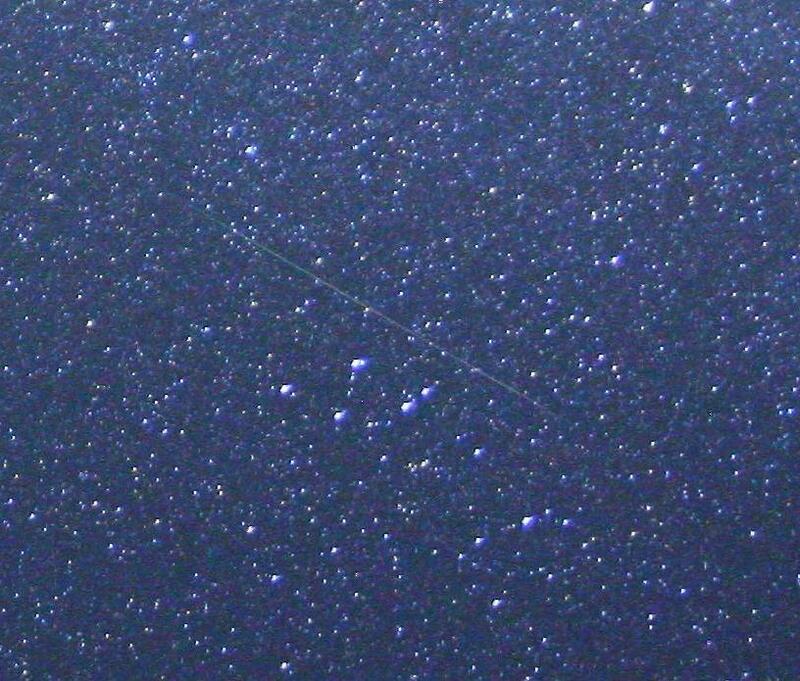 The other is a more typical perseid passing by Delphinus. 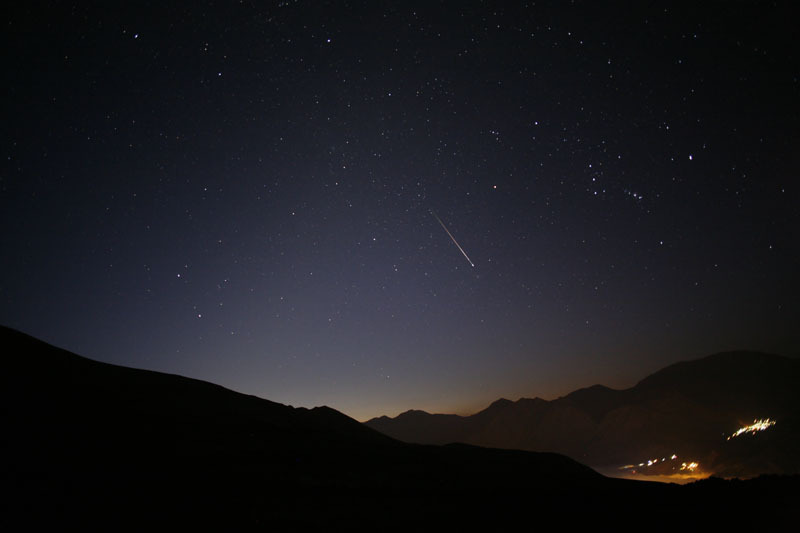 Note how the color changes from green to reddish as the meteor slows - and cools - during its passage through the atmosphere. 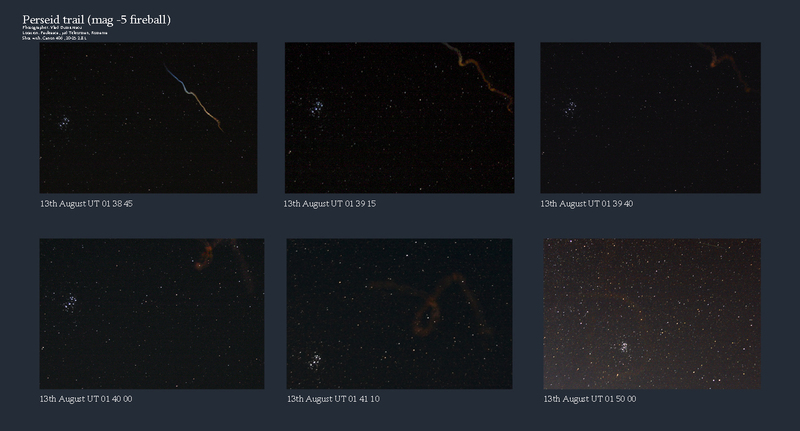 Both images are cropped from much larger image taken with a 19 mm wide angle lens. 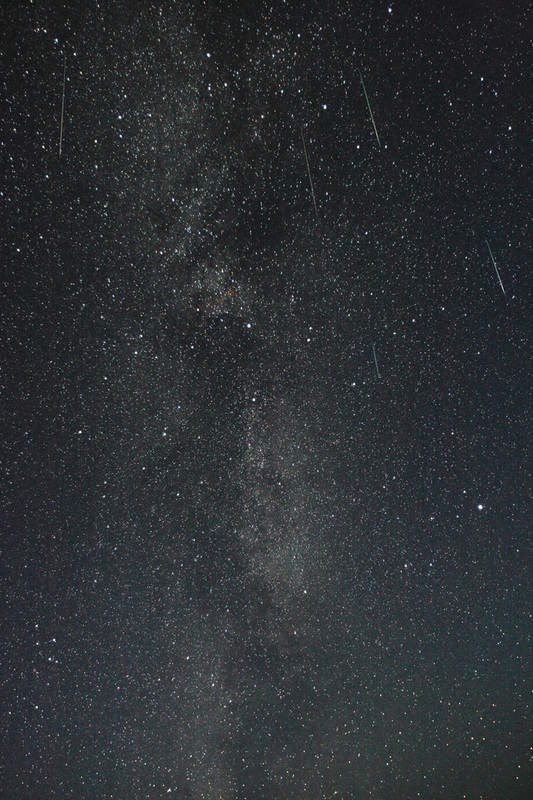 The third image is one I sent several days ago of an early Perseid around midnight on August 3, taken while I was testing the new camera and lens for the upcoming shower. It was wonderful this year. 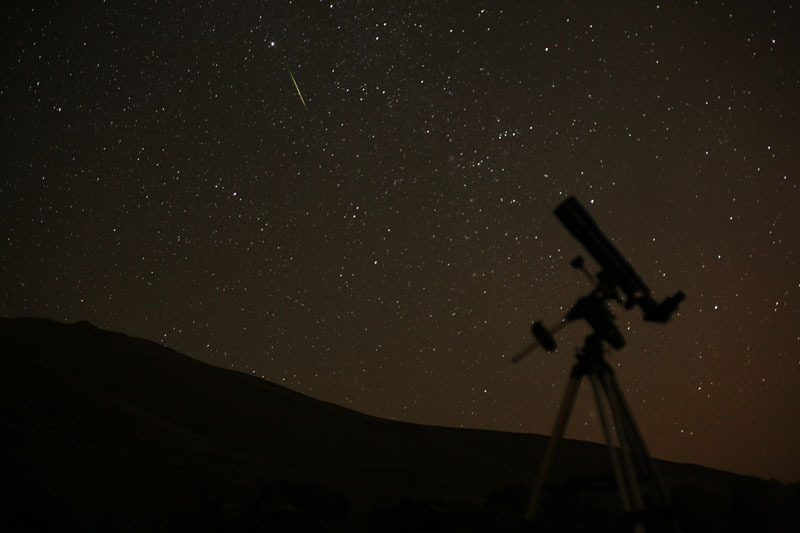 The number of bright meteors was more.